Until December 2018 there was a demonstration outside Campsfield on the last Saturday of every month. 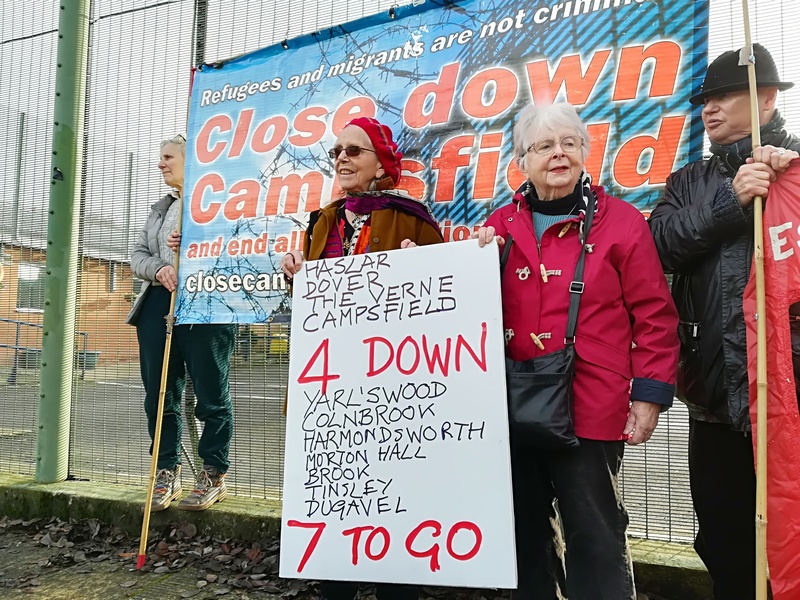 The last detainees left Campsfield in December 2018 and on 29 December 2018, the final demonstration took place calling for the closure of all immigration detention centres. Regular meetings of the the Campaign to Close Campsfield will continue until May 2019. The next meeting will be on Tuesday 2nd April at 7.30pm in Oxford Town Hall. All welcome. If you would like to attend, please get in touch by email on closecampsfield@riseup.net or by phone 01865 558145 or 01993 703994 to check in case of any changes to the meeting time or venue.